Whether you’re planning on plinking, target shooting, or hunting, you want to get the most out of your 22 and you are thinking of purchasing a rifle scope. You may be asking yourself, what is the best 22 rifle scope? We have done some research and have come up with a few of our favorite 22 rifle scopes. Our favorite rifle scope for a 22 is the Nikon Prostaff Rimfire 3-9x40mm. This scope boasts Nikon’s fully multicoated optical system and innovative adjustment technologies. This scope has a superior hunting performance that will fit into any hunter’s budget. I’m sure you are already aware of this, but there are many things to consider as you are shopping for a scope for your 22. As you think about which gun scope to purchase you need to think about how you will be using it. Not only does your options depend on what type of firearm you will be shooting, it also depends on how you will be shooting. After you have decided what firearm you will use the scope for and how you will be using it, there are some other things to consider. Magnification – The first thing to consider is how much magnification power do you need. Objective Lens Size – After you decide how much magnification power you need then you will have to decide on an objective lens size. Reticle Style and Shape – After power and lens size, you need to know what your reticle style and shape is. You can purchase a scope for a handgun or a rifle. Since we are looking for the best scope for our 22 rifle we will only consider rifle scopes in our discussion. There are a lot of different rifles that have different uses. A rifle is typically meant for medium to long range shooting, but can be used for short range shooting. 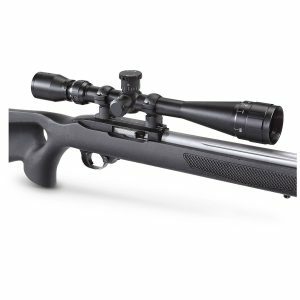 For a 22 rifle used for varmint hunting, consider a rimfire scope with variable power ranges. After you have a good understanding of scopes and you know what to look for, you are going to have to decide on a budget. Depending on the gun and what you are using it for, scopes can go for a lot of money. Thankfully, there are good quality scopes that are affordable. Basically, the higher the scope costs the more premium features it should have. Sometimes you may be paying for a brand name. Which isn’t necessarily a bad thing all the time. Sometimes paying for the name means the company is reliable and will have some sort of warranty. 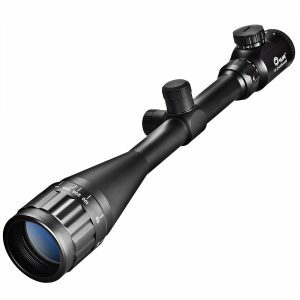 Premium features include increased adjustment precision and repeatability, optical clarity, and overall durability. Sometimes you don’t need all of these features though, and as I stated before, there are plenty of good quality scopes that are affordable. What’s the bottom line? Choose appropriately for your circumstances. For your 22 rifle, you don’t need a fully tactical scope if you’re going to be using it for plinking in the back yard. There is an ideal scope for you and your rifle. I think the biggest takeaway for today is, know what you’re hunting for, out in the field and in your scope shopping. Gun scopes have been around for a long time. Since before the Civil War, as a matter of fact. After World War II scope manufacturers started making improvements to scopes to help hunters have more reliable equipment. Now scopes are made for just about everything that shoots, including handgun and bows. Gun scopes are simply tubes with lenses to help you see a longer distance than the naked eye can see. They use a reticle, or crosshairs, to help you aim more precisely. That is the reason why they are so popular with rifles. Rifles are known for shooting longer distances. It’s pretty common to see a modern rifle no longer has their iron sites anymore because most people put a scope on them. The best way to keep your scope lenses clean and protected is to use the lens cap. If you are hunting, you can keep your lens caps off unless there is constant rain. A lot of quality scopes have flip up caps to give you quick and easy access to your lens. There are also scopes that have see through caps. You can wipe them off to remove smudges without worrying about scratching the glass lens. To clean your lens, dampen a lens cloth with an eyeglass or lens cleanser, without spraying the solution directly onto the lens. Wipe the lens with soft circular strokes. Packing your rifle in a hard case is the best way to travel with a scope. When placing your rifle in the case keep the scope towards the top so the scope is up when picking up the case. Let’s get to our top picks for the best 22 rifle scope. This scope’s optical system transmits up to 98% of available light, ensuring maximum brightness from dawn to dusk. Nikon integrated a zero-reset turret into the scope, to ensure easy simple field adjustments. 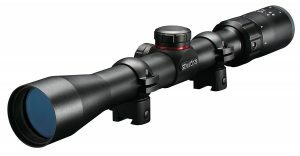 This scope features fully coated optics and a complete set of mounting rings. SureGrip adjustments make adjustments easy, even while wearing gloves. The QTA eyepiece delivers a constant 3.5 inches of eye relief through the entire magnification range. Maximum accuracy and reliability for every tactical scenario. It holds zero and is dead on at all magnifications. The CVLife 6-24*50 AOE Red and Green Illuminated Rifle Scope is made of high strength aluminum alloy. Completely sealed and 100% nitrogen filled makes it rain and fog proof. Adjustable dual illuminated reticle allows for night or low light use. This scope is accurate, reliable, versatile and a fine choice for your 22. Perfect for plinking, target shooting and getting rid of varmints. Rifles are often defined by their optics so it’s important to pick a scope that meets your needs. There are many choices available in different budget ranges. 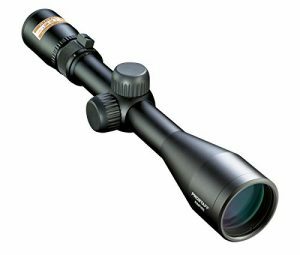 I tried to list a few from the mid price range and a few from the low price range for a 22 rifle scope. This scope’s optical system transmits up to 98% of available light, ensuring maximum brightness from dawn to dusk. At the end of the day, I feel the Nikon is the best out there. It’s a high quality, mid priced scope that works great and has some nice features. 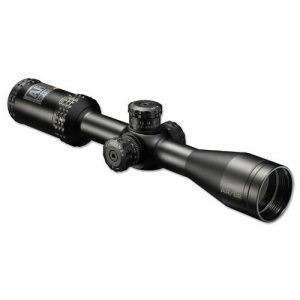 You can use this scope for your target practice, plinking, and varmint hunting without having to spend a fortune to get good quality and reliability. For more gun scopes reviews, visit our Gun Scopes Resource.